In this example we show how to create a laser from foundry components. 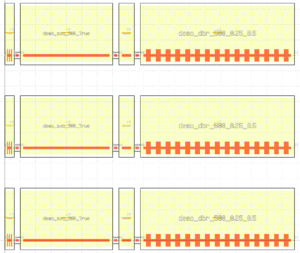 We use DBR gratings, gain section (SOA) and isolation sections from demofab to make a laser. 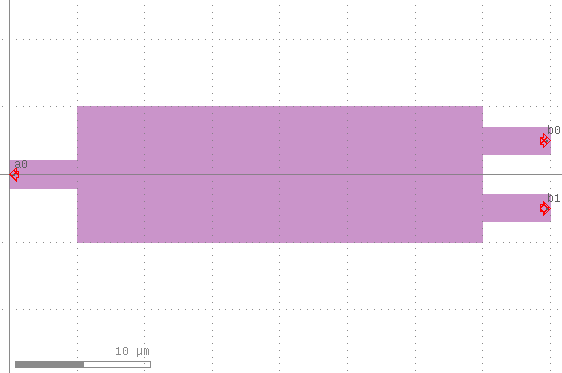 Make sure to use demofab_klayout_colors.lyp to view the mask in KLayout. To create a laser building block we will use Nazca ‘Cell’ object. 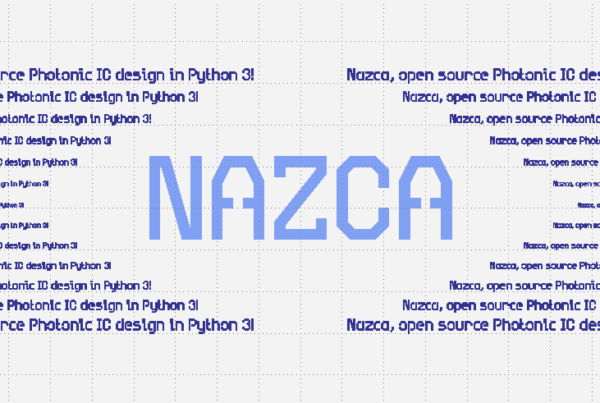 Nazca calls a building block a ‘Cell’ object, because it will be exported as a cell in GDS. The new laser building block can be put several times in the mask. We can also add Pins to the laser building block in order to connect it to the rest of the layout, for example to interconnect laser metal pads to external DC pads. """Create a parametrized dbr laser building block.""" In this example we show how to create parametric curves between two points. In this example we show how to add text to your layout. In this example we show how to convert an image to GDS. In this example we show how to create a building block from Polygons.